lechemusic: ¡Bottin feat. Jupiter – Sage Comme Une Image (Spiller remix) lechestyle: Acne Roc jeans! Acne Jeans from Sweden is one of my favorite brands for jeans and contemporary clothing. Simple and very Scandinavian, great quality as well. While you’re browsing check out this fresh housy track from Bottin remixed by Spiller. Acne Roc jeans @ Zoovillage. lechemusic: ¡Matias Aguyao – Dance Machine! Dance Machine is the perfect name for this house banger. Impossible to stay still during this song. 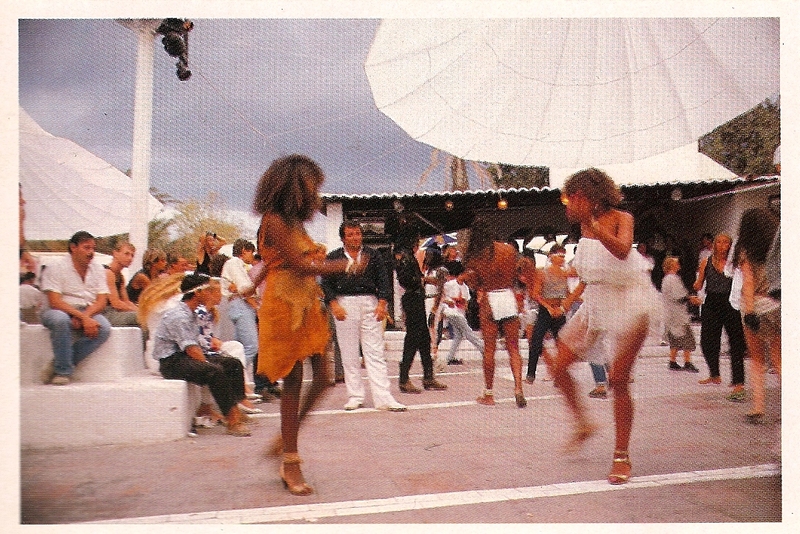 Picture from the legendary Ku (Privilege) club on Ibiza. lechemusic: ¡New Navy – Zimbabwe (Flume remix)! Soft and melodic, New Navy’s Zimbabwe remixed by Flume is the perfect daydreamer. lechemusic: ¡Can I Kick It? – The Shoes Pirate remix! When Gucci Vump Guillaume is not bromancing he rocks in music act The Shoes. Check out the hip hop remix featuring a wild bunch of musical poets. lechemusic: ¡Gucci Vump – What You Do To Me lechestyle: Angel Infantes – Roma! Love the sample of Toto’s Africa in this slow track by Gucci Vump. The cognac colored dress shoes are by Spanish Angel Infantes. lechemusic: ¡Switch – I Still Love You (Gucci Vump remix)! Gucci Vump remixes can cause superlative tourettes. This one is just too good, can be found on Gucci Vump’s mixtape as well available on soundcloud. lechemusic: ¡Chris Malinchak – The Fourth! Chris Malinchak produces yet another banger, incredible tune. Love the vintage video.